Cub Cadet CC 30 H Rider features a 382 cc Cub Cadet OHV engine, 30 inch cutting deck, and a LED high illumination headlight. 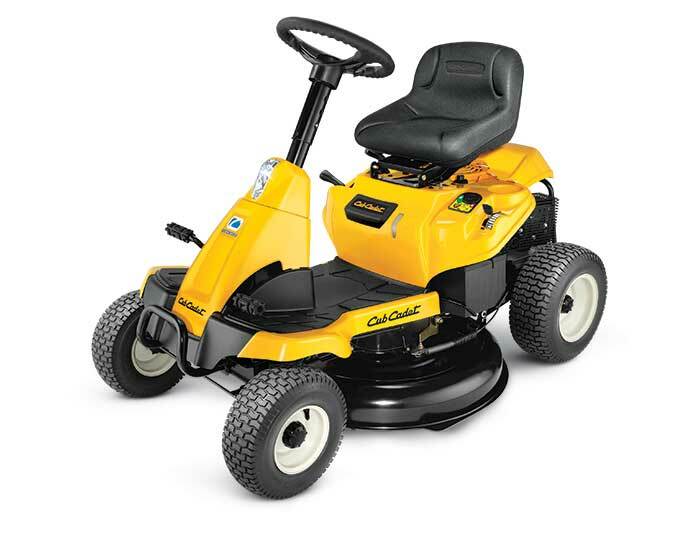 This mower has an exclusive telescoping steering column that allows you to easily adjust the size of the operator area, creating a more comfortable ride for all users. Its compact size allows you to maneuver through narrow spaces. The hydrostatic transmission makes operating the machine a breeze. No shifting needed, just push a pedal and go.